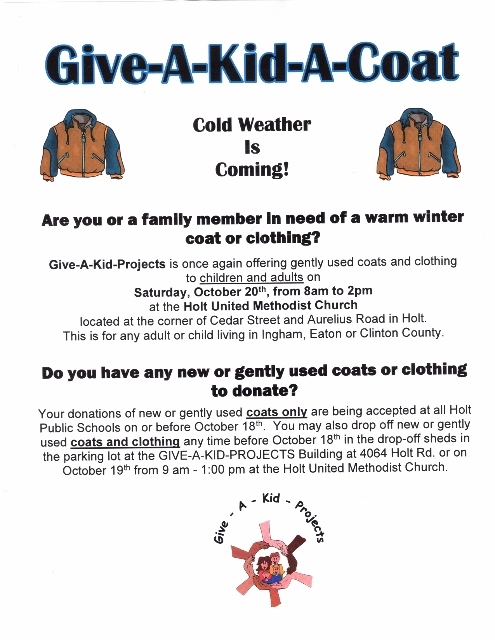 The Coat Program began in 1984 when approximately 30 children were provided with winter coats. The program has since grown into a state-wide program serving both children and adults from any county. Each October, we offer coats and other winter attire warm clothing, shoes and boots. We also provide new blankets to children at thanksgiving.